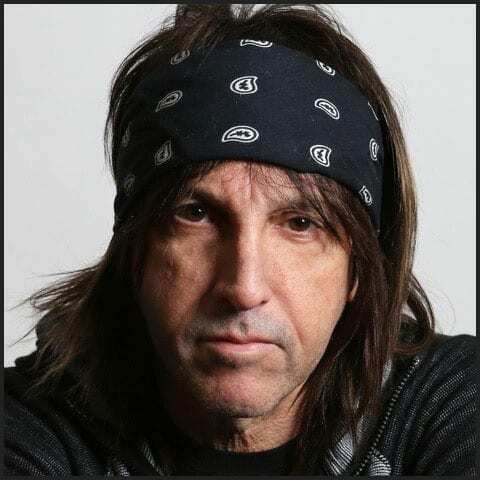 MARK WEISS was a 14-year-old kid from New Jersey when he made a deal with a neighbor to cut his lawn in exchange for a 35 mm camera. Thus began a lifelong journey of rock and roll mayhem that continues to this very day. “I had a steady list of customers, but I was always looking for more lawns to cut. The next day I knocked on the door of a neighbor with a seriously unkempt lawn: “Hi, my name is Mark. I live down the street. I noticed your lawn is a bit long, can I help you by cutting it?” The neighbor told me he mowed his own lawn. I kiddingly replied, “It doesn’t appear that way.” He smiled and told me if I mowed his yard for the season, he’d give me a camera. Then he went inside and came back out holding a Bell & Howell Canon FP. It looked like it was worth a million bucks to me. I said, “Sure.” After a few cuts, he gave me the camera in good faith. I loved everything about photography—directing, developing film, and most of all, printing and giving the photos to my friends and family. But high school began and, in time, I started to lose interest in taking photos. Aside from shooting a few family events, my camera took its place on my shelf as a paperweight. Then, at the end of my first year of high school, I saw the light. My older brother, Jay, surprised me with 10th-row tickets to see Eric Clapton and Santana at Nassau Coliseum for my birthday. My parents bought me a 200mm lens. On June 28, 1975, Jay and I made the two-hour trek to Long Island. Though I was stopped by security after shooting just a few frames, I managed to get a couple good photos of Clapton. I knew then and there I wanted to be a rock & roll photographer.